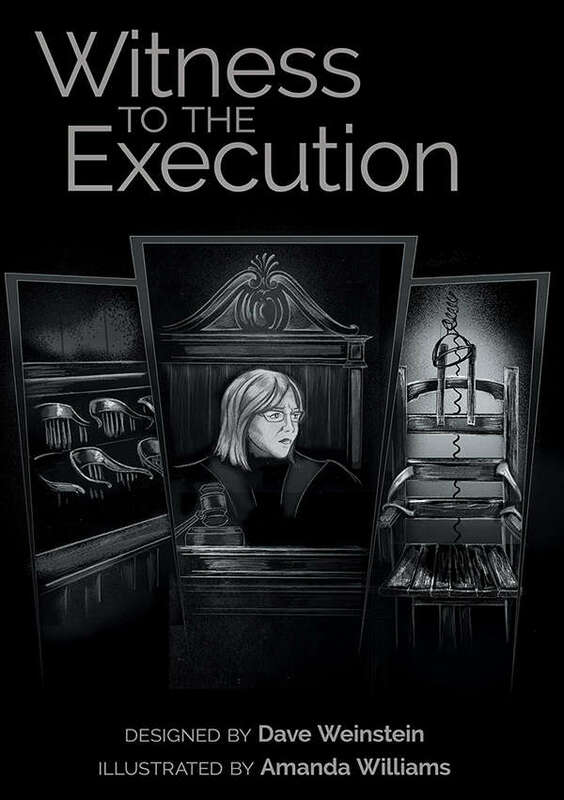 My friend Dave Weinstein returns to his roots as a writer and analog game designer with this interactive exploration of morality, ethics, crime, and punishment called Witness to the Execution. I am very proud to see him get this off the ground, as he’s a clever guy and someone I enjoyed figuring out story ideas with back when we both helped run Triangle By Night in North Carolina, many moons ago. With this Pick, we’ll call it Story Game Week and explore some titles that delve into this special RPG style*. (*) – Sorry, Jeff, but these totally count as roleplaying games. No one gets to gatekeep this. The wheels of justice have turned. Starting on the eve of the execution, we explore the events that brought us to this point, and determine collectively whether the Governor will grant clemency. Witness to the Execution is a Storygame for 3-5 players.